Back in the tumultuous days of 2011, I was certain that the world economy would crash at any moment. Some would say my wife and I had already bugged out, living an hour from any large metropolitan area (that is actually our old home pictured here... brings back many good memories now). We lived in a modest house on a 5 acre wooded property on the edge of a 40K town. But I was troubled. About that time, The whole family watched a movie (mainstream propaganda) that portrayed the bug out of a prepper family during a false alarm of power outages. They bugged out to their dream property with its underground bunker. The story was clearly intended to dissuade people from prepping. But it asked a fair question: “Am I willing to shoot neighbors who come to get my food?” I am still pondering that one, but I think I know the answer. And in this town, those neighbors would be coming. I knew that once the crash arrived we’d likely be stuck there, 6 states away from our family & old friends, on the edge of a meth infested mid-west economic armpit, filled with poverty, drugs and crime. Homes could be bought for 1K, and sometimes free if you knew the right people. Though we had been prepping and fortifying our acreage, I was feeling increasingly dubious of its adequacy as a long-term haven: too few friends, no kin, and crime that had become too personal. Our kids were the first to feel “Prepper Fatigue.” They were really into the prepping and stacking early on, probably because they thought it was fun and exciting. When a big storm knocked power out at our home for seven days, they had a blast cooking meals on a Coleman stove and lighting candles … for a while. The lack of showers and other luxuries began to affect our minds. My wife was next to get weary of the prepping, the waiting, the continued market manipulation, watching with helplessness the political slide toward socialism. We reached a decision after a friend was murdered. I found him in his basement, shot in the back of the head--execution style. He was killed for his coin collection by a heroin addict who had done some clean-up work at his house. After a night of interrogation as suspects in the murder, my wife and I felt a deepening recognition that “We weren’t from ‘round those parts.” We wanted out. It was the last straw. Leaving to go back West (home) seemed advisable. We received a job offer out west and moved in 2013. We found and purchased a townhome close to the University campus where I worked. Real estate was still relatively cheap, so we started looking for a real bug out property (hadn’t quite completed the rethinking yet). We found something suitable and purchased it. But being a working guy, we had to rent it out to pay for itself, wondering if we’d be able to get the renters out when the fateful day came. We still have it, but have determined that it is not an ideal property for self-sustenance. Five years have passed. And with those years has come blend of relief and confusion--relief that the economy still functions, that we can still buy Cheetos at the grocery store and $17 silver, but confusion about why it was all still possible. Where was the collapse? Had we been wrong this whole time? Were the bankers and politicians actually going to succeed in holding this world economy together? Who’s the fool now? A recent series of articles by “High Desert” posted at ZH, confirmed that our growing reservations about bugging out were justified. The emotional toll that would be too high for us to pay. After reading the three part series (1, 2 & 3), and admitting that the world economy still functions, I felt relieved that we had not sold all and pioneered on 20 acres in the wilderness as I had hoped. Several weeks ago, we received a glimpse into our future as my wife’s mom’s primary caregivers when she became ill. In her weakened state she fell down and laid on the floor for several hours, unable to get up until her sister stopped by to check on her. We learned she had fallen three times that day. My wife stayed with her for a week nursing her back to health. We are staring at an unpleasant reality. We talked at length and recognized the need for a change in outlook. As answers became clearer, we have altered our plans toward something that retained a semblance of normal life—a lifestyle that prospered in our current economy, but could make a smooth transition to a crappy one. We will be ready for a depression, prepping & gardening in plain sight, but living a relatively normal life as long as we can. And if, as we have all feared, the economy totally collapses, this neighborhood appears to have a critical mass of people who will pull together for survival, people good at gardening and animal husbandry. We actually know most of our neighbors already and the rest wave regularly. It is not the perfect property on which to build, but it has advantages due to location--additional nearby relatives, many commercial farms, and a retirement economy that provides business opportunities for my wife. The land is fertile with irrigation rights secured. Well water is shallow and the warm southwest weather provides two growing seasons. Over the next four months, I’d like to chronicle this adventure, publishing a series of articles here that describe the pitfalls and joys of building the “dream property.” Perhaps you might glean some useful data (mostly learning from my mistakes) to steer your own lives one direction or another. I, hopefully, might receive some advice that will lessen the cost and ease the process. We have done a lot of work already: designing a home, testing soil density, certifying an existing septic system, survey completed, and working on formal blueprints. My recent hand injury has slowed down the plan, but has also directed us toward working with contractors since I will be unable to perform trades that require a healthy body. There is much to be done to satisfy the city & county building departments. While it would be easy to hire a contractor and simply write a check, that check would certainly bounce. Serving as our own general contractor saves a ton of fiat and provides the ability to stretch out the process, enabling us to pay as we go. I have drawn blueprints with the aid of some good software. But here my skills fall short as I need to hire an architect/engineer to make certifications to please the authorities. So here we go. I’ll endeavor to continue the soap opera each week as the process unfolds. The silver chart is telling us one thing....that TPTB are committed to keeping the silver price just above the mining cost. Simple. No convoluted explanation necessary. How much silver is left to mine? How much longer can this be maintained? The above two questions show why it is pointless to try to time "free silver"
Above All / Don't listen to the "experts" They have been wrong for years. I find it interesting that the so called experts on mainstream and alternate shows are in 2 groups those who are so vague and their data is meaningless (2 Jims -Rogers (class A, BS act)/Rickards (a special CIA contact told him)) and those get it wrong time after time. I don't understand why experts who have access to the same data that we all have can know so much more than us little folk at TF metals under the guide of our supreme leader Turd. Seriously, I see "experts" get it wrong over and over, then change their comments to make out that they never got it wrong (recently seen with Gary Savage and his NASDAQ call of 10,000 then 20,000), or disappear after their completely bogus prediction collapses (Bo Polney, old Harvey). Then there is the mainstream which is wrong 100% of the time like our friends at CNBC or the complete crooks like jailbird Armstrong. What is unbelievable is that after making a terrible prediction, they return a few months later with new BS predictions and its all great again. Their followers bow low and praise their every word. Crazy is not close to what is going on. I have long given up listening to expert predictions - now I follow my head as I will have to live with the consequences not Rickards or Bo. After following these PM markets since 2000 I find our supreme leader Turd the most balanced most human and sincere analyst around. Thank you Turd. 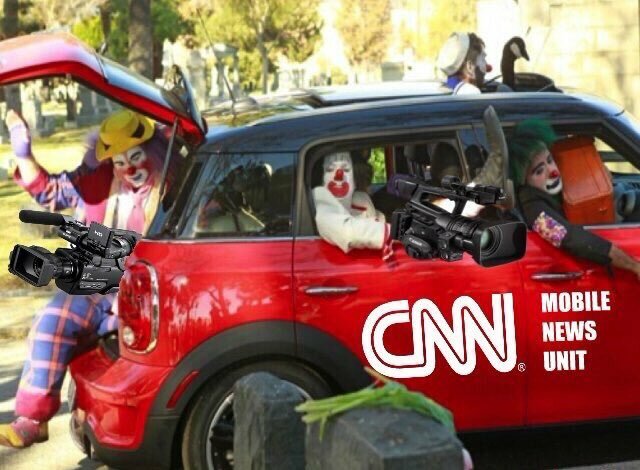 It’s all a clown show. fade away and say screw it, Or . . .
once you see that the charts and stories are just that... mark the confused that perpetuate the confusion, then look for a foothold. Even if it's a tiny little piece of solid ground that you know to be true, you can build from there. Doing your own thinking and your own research. You won't change the willfully ignorant who find profit and false comfort by perpetuating the confusion, it's a waste of your mental energy and it puts you out of position. Stay on solid ground. The USD is the benchmark, aka World Currency Standard. That's reality/true, but check it out for yourself. after a while these positions become solid and provide a place from where other more complex positions are visible. Eventually every single confused "market" expert or wannabe is as predictable as the rotating 'stories' that cycle through the system's media. Over and over, the same baseless nonsense. don't let it distract. stick with what you know, keep watching and proving out positions. eventually you will be able to go anywhere anytime you want. look for vulnerabilities, they're aplenty. then start exploiting them. When you get stronger hit bigger targets. don't pressure anyone. they're all scared little rabbits, all the way to the top. they see you as a predator, keep eyes away/body turned, you are trying to help them but they do not know that. minds change slowly, never ask them to do something, keep helping with no pressure, they will eventually give you the keys to the kingdom. If you try to make a play and it doesn't work, figure out why and add that reality to your repertoire. always ask for wisdom. then do your own best thinking. if you try to make a play and it doesn't work, it's almost always because you didn't clearly understand the reality of the situation. Think big! your power is going to be greater later. Same deal. Failed tins to chuck out. The best deal I have seen is dehydrated food. Granted mylar bags would not be common if/when there is a reset, but dehydrated food is 1 Light 2 space saving 3 Nutritious 4 cheap 5 probably good for seeds. I have to give it a try. Back in 2015 and 2016 I started buying freeze dried food in large cans from the Ready Store and Emergency Essentials. The prices were very low at the time and you got 15 - 25 servings per can. They have a shelf life of 25 YEARS. I had a metal shelf built in the kitchen which is almost 8 feet high. They are very easy to prepare with boiled water in a short amount of time. As a single guy I now eat some meals with freeze dried vegetables and rice just for convenience. I can save money with freeze dried food allowing more cash to go toward physical. The idea of having a 2 year supply was to feed others who could provide services and skills we did not possess. Check out freeze drying at home, too. More costly to get into but more options, even better shelf life than dehydrated. HarvestRight has a home model. Great sale ... reg $250, now $100. Anyone have experience with Wise brand freeze dried foods? Any suggestions on which brand to buy?